Explore the needs of CIOs during the buying cycle, and learn to model your sales lead generation tactics to satisfy them and progress the sales process. Today’s IT buyers are highly informed, savvy, and sometimes demanding. They complete 60 percent of the buying cycle before contacting vendors for additional insights. Chief information officers (CIO) see the IT world through a strategic lens, balancing budgetary needs with innovative solutions. In some cases, purchasing decisions for CIOs now expand beyond the IT department, as buying committee are developed within an organization. Each member plays an influential role in purchasing decisions, and your sales lead generation tactics must address all individuals and their unique needs. Discover the CIO’s unique concerns that you’ll need to address. As important members of the C-suite, CIOs are often included in buying decisions beyond technology. CIOs are increasingly responsible for strategic planning alongside other C-level leaders like CEOs, COOs, and CFOs. These roles have long been held by people with extensive technological backgrounds, but newer CIOs often bring broader considerations to decision-making. Many companies struggle to keep IT budgets under control, and sometimes they use hard tradeoffs to balance the books. Meanwhile, the explosion of new technologies and devices threatens to overwhelm the security of company networks. CIOs find themselves in the middle of this battle, seeking solutions that innovate and provide security without breaking the bank. How can we adapt new technologies with legacy systems? Migrating to new technologies doesn’t mean the old technology systems immediately go away. CIOs need to have a worry-free transition plan that accounts system integration, data needs, and plans to retire any systems which are no longer needed. How can we keep our data safe? Security is a major concern for CIOs, especially as data is being transmitted across multiple devices on a company’s network. Even if your solution doesn’t address security directly, be prepared for questions about security in general. How much training will be involved? Every new product comes with expected training time, and CIOs have to account for the time needed and whether or not it will interfere with normal business. CIOs are often charged with identifying new opportunities for transformation, but not at the cost of the company’s productivity. Once you understand these major concerns, you can frame your solutions to fit CIO expectations. CIOs, like most of today’s buyers, use social media heavily in their purchasing decisions. They seek out vendors that address their concerns, and expect tailored solutions for their unique challenges. Share content that addresses scalability issues. Research third-party content (blogs, articles, research) that address how CIOs can scale new technologies within their existing infrastructure. 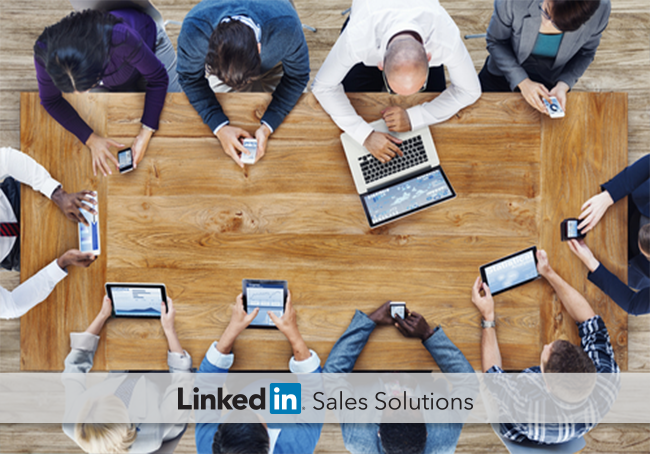 Share relevant content on LinkedIn to establish early credibility on the issue. Address multi-device management. CIOs face a new wave of adjustments to accommodate mobile devices, cloud technology, virtual desktops, and more. Align your solutions with these new realities, and provide answers on how your solution addresses these needs. Come prepared with proof of execution. CIOs can be a hybrid looking for both the qualitative and quantitative reasons they should want what you are selling. Be ready to share proof of execution examples that includes problems solved, time to execution, and results both short and long-term. The CIO role has dramatically evolved over the past several years, becoming more influential in purchasing decisions that reach far beyond the IT department. By aligning your solutions to fit their needs, you can improve your sales techniques and increase your chances of creating a connection with the CIO and fostering a relationship with an important influencer.